Nearly a week ago Republicans and Democrats in the state House and Senate came together to pass a bipartisan budget. I was certainly proud to have been a part of this historic bipartisan budget vote in the legislature. Unfortunately, we have already heard that the governor intends to veto this budget. If vetoed, our residents and municipalities would face massive and extensive cuts from the governor as part of his executive order. If rejected, these devastating cuts would go into effect on October 1st and would ultimately prolong our chance to get back to the positive steps that made during this momentous day. With the governor’s executive order deadline right around the corner, timing is everything. 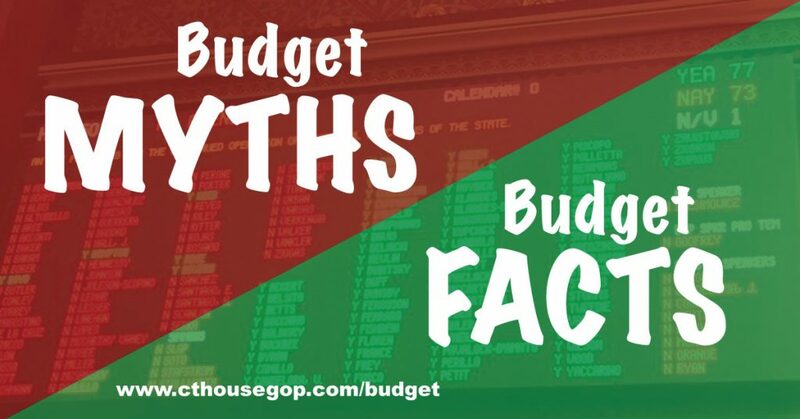 I hope that instead of vetoing this budget, the governor sets aside time for us all to work together to do what is best for Connecticut’s residents, taxpayers and businesses. However, the reality of the situation is that the governor and his administration have held several press conferences slamming the budget that both Republicans and Democrats worked to pass out of the House and Senate together. I’d like to point out that the governor had lots of negativity to express regarding a budget that increases educational funding (through a new ECS formula), it provides mandate relief and municipal support over the biennium by not putting teachers’ retirement costs back onto the municipalities, funds core social services, prioritizes the state’s transportation needs, helps seniors by lower taxes for retirees and eliminates the tax on social security, includes structural changes (bond cap, spending cap), and reduces the size of government (10% on certain agencies). I urge you to join me in taking a stand. You can help by asking this administration to sign the bipartisan budget by October 1.